To determine the concentrations of floating microplastics in the vicinity of Loch Long, Loch Goil and the Clyde Estuary. To determine the concentrations of microplastics within the sediment in the vicinity of Loch Long, Loch Goil and the Clyde Estuary. Scientific staff will join Alba na Mara (pm) on 18 October in Greenock. The vessel will sail the following morning, weather permitting. Figure 1 shows the approximate tracks along which the microplastics sampling catamaran will be towed. 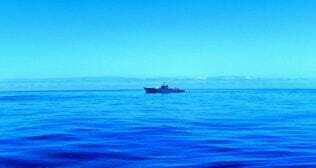 Tows on both states of the tide (flood and ebb) will be attempted during the course of the survey. 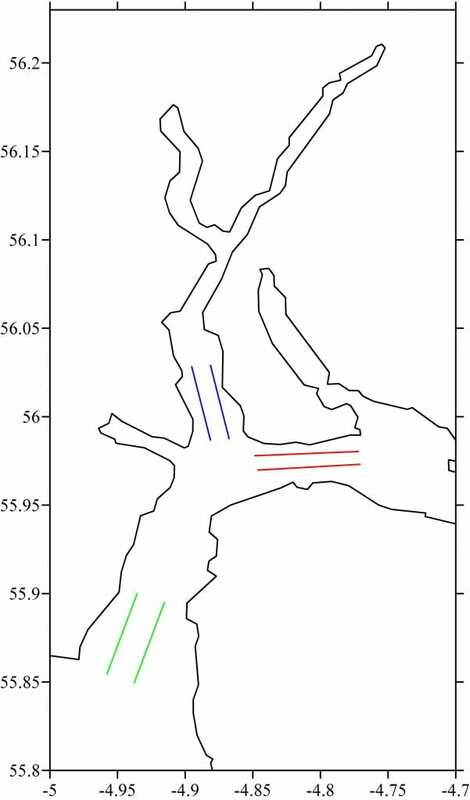 Grab samples will be collected at stations along Loch Long and Loch Goil at approximately the locations seen in Figure 2. Additional sediment and tow sampling will be performed in the general vicinity if time permits. Samples we be collected, archived and returned to the Marine Laboratory Aberdeen. Figure 1. The image above shows the approximate survey tracks along which the towed microplastics net will be used. Figure 2. 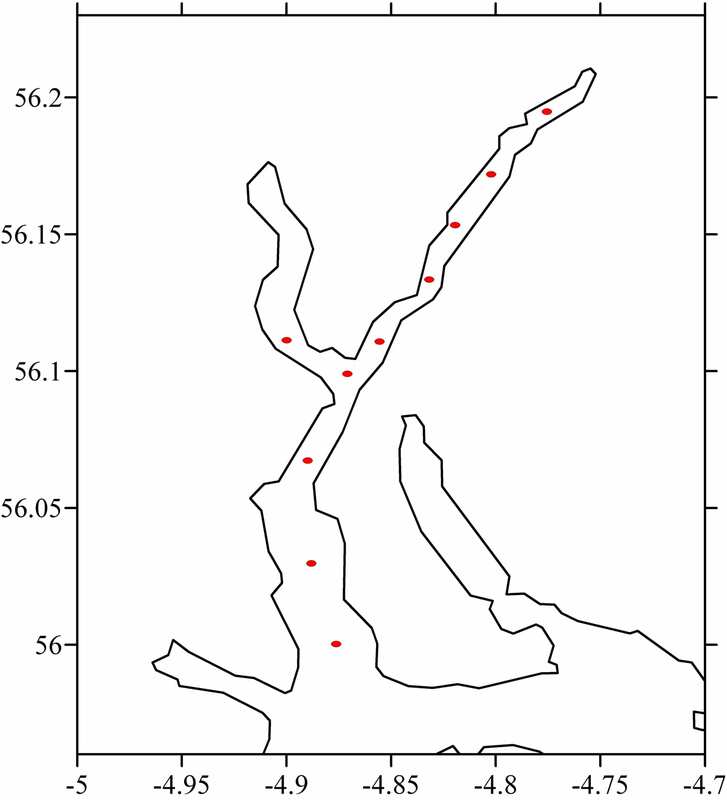 The image above shows the approximate survey locations of grab samples.